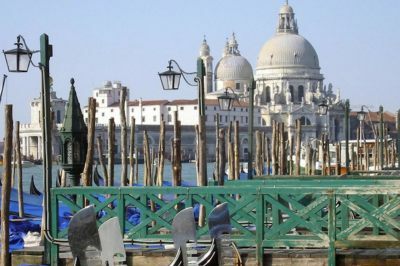 Your next tour starts in front of the Correr museum in Saint Mark's square where you will meet your professional english speaking guide. 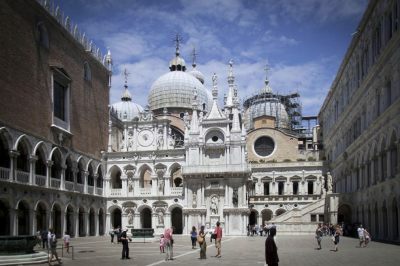 We start the tour discovering the buildings in the square and then we skip the line into Saint Marks Basilica which majestically symbolise the lagoon and enshrines the city’s history and Saints relics. 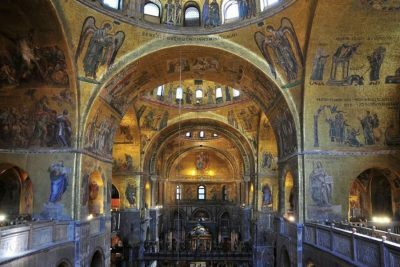 With its awe – inspiring gold mosaics our talented guide will walk you through to one of the main highlights of the Saint Mark's Basilica, the “Pala d’Oro” (Golden altar), with masterpieces by generations of Venetian Goldsmiths, universally recognised as one of the most refined and accomplished works of Byzantine craftsmanship and the most precious treasure in the Saint Mark's Basilica. 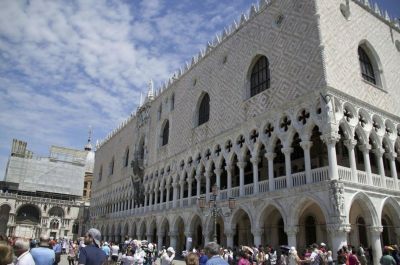 The tour then continues as we skip the line into the Doge's Palace, a magnificent combination of Byzantine, Gothic and Renaissance architecture.Once the residence of the Doge (Duke) the elected ruler of the city. 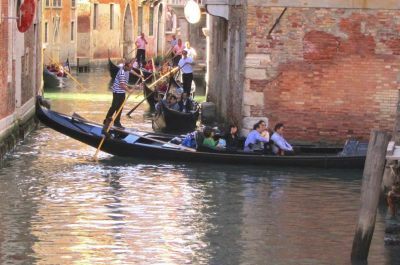 We pass through lavish chambers and also cross the bridge of Sighs making our way though the new prisons. The tour ends inside the palace and your pass allows you stay inside the museum independently after the tour has ended. Skip-the-Line entrance to the Saint Mark's Basilica and Doge's Palace.